Cuckoo for Coconuts: EGG-CELLENT NEWS! They are so half-ripened, alien and wonderful. 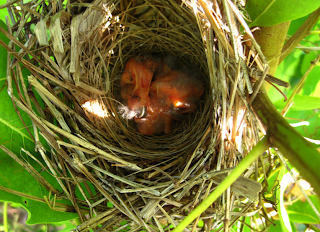 Great shorty video of the three of 'em squirming around in that pretty nest.